Every year at the end of January, it is time for World Economic Forum (WEF) in Davos. The forum was founded in 1971 by Klaus Schwab. A German-born business professor at the University of Geneva. First named the “European Management Forum”, and then it changed its name to the World Economic Forum in 1987. Its mission is cited as “committed to improve the state of the world by engaging business, political, academic, and other leaders of society to shape global, regional, and industry agendas”. President Trump is a business man and he will join the elite at the forum in Davos this time. The meeting at Davos is synonymous with wealth and elite prestige and Presidents have therefore been concerned to participate because it would send wrong signals. Mr Trump will be the fist sitting President since Bill Clinton in 2000 to attend. Mr Trump is a business man and have an agenda. A message. Mr Trump is finish with his first year as a President at the White House, and so far he has done a lot of good things, not only for the USA, but also for the rest of the world. But this is only the beginning. 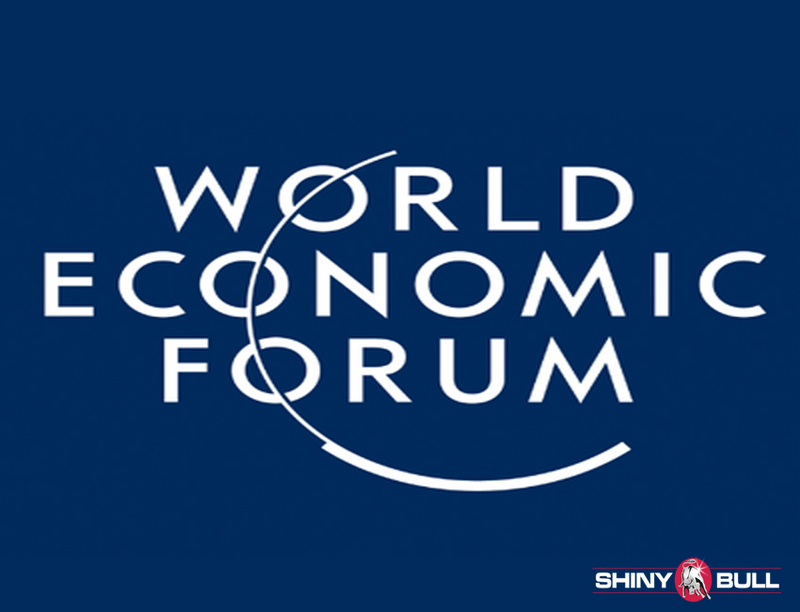 The meeting in Davos brings together some 2,500 top business leaders, international political leaders, economists, and journalists for up to four days to discuss the most pressing issues facing the world. But Trump`s agenda is not to make the world great again, but the USA. He will also try to sell his «America first» agenda to the world leaders. It is not difficult to understand that he also want to promote his policies to strengthen American businesses, their industry and their workers. What Trump is doing in the U.S will also affect the rest of the world. For instance, a corporate tax cut in the U.S will also affect other countries. For all I know, maybe other countries will follow his strategy and cut the taxes as well. Trump is also a great negotiator and he told Stoltenberg at NATO to pay the bills to the U.S Navy, and you know what; they did. This is brilliant. He is making USA more safe, but also NATO members and the European Union more safe. I think Mr Trump will try to sell his economic growth agenda on the world stage and speak with the World Bank and the IMF, and I really look forward to his speech. It can be full of surprises. His administration said that Trump`s delegation to Davos will be large. Mr Trump recognized Jerusalem as Israels capital. That can also be an issue if you think of the forums motto: “Committed to improving the state of the world.” We have seen this before. At the 1994 annual meeting, Israeli Foreign Minister Shimon Peres and PLO chairman Yasser Arafat reached a draft agreement on Gaza and Jerico. Two years earlier, South African President F.W de Klerk met with Nelson Mandela and Chief Mangosuthu Buthelezi, which was the first joint appearance outside South Africa. North Korea was invited to Davos in 2016, “in view of positive signs coming out of the country,” the WEF noted. North Korea has not been attending the WEF since 1998. The invitation was accepted but after their nuclear test on January 6, 2016 (only days before the meeting), the invitation was revoked. The country protested and called the decision by the WEF managing board a “sudden and irresponsible” move, but the WEF committee maintained the exclusion because under these circumstances there would be no opportunity for international dialogue. Last year, a head of state from the People`s Republic of China was invited to the alpine resort. With the backdrop of Brexit, an incoming protectionist US administration and significant pressure on free trade zones and trade agreements, President Xi Jinping defended the global economic scheme, and portrayed China as a responsible nation and a leader for environmental causes. President Xi Jinping rebuked the current populist movements that would introduce tariffs and hinder global commerce, warning that such protectionism could foster isolation and reduced economic opportunity. This is still a hot potato. Two year ago, the forum announced the opening of its new Center for the Fourth Industrial Revolution in San Francisco. They said the center will “serve as a platform for interaction, insight and impact on the scientific and technological changes that are changing the way we live, work and relate to one another.” Great news at that time. 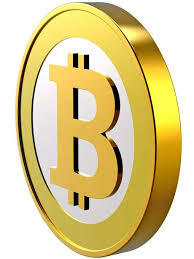 What about the crypto currency revolution? The cryptobank boom? All this decentralized coins and banking industry with tokens and their «smart contracts» that is flooding the market. Will the world leaders talk about it, and will the central banks answer with a centralized version in the future? Bitcoin has skyrocketed so far in 2017, but what is it really worth? Its like other currencies like the US dollars; worthless. Its just like gold; worthless. They are all useful as a means of exchange. The Nobel Peace Prize 2017 was awarded to International Campaign to Abolish Nuclear Weapons (ICAN) «for its work to draw attention to the catastrophic humanitarian consequences of any use of nuclear weapons and for ground-breaking efforts to achieve a treaty-based prohibition of such weapons». The Earth`s climate has changed throughout history. Just in the last 650,000 years there have been seven cycles of glacial advance and retreat, with the abrupt end of the last ice age about 7,000 years ago marking the beginning of the modern climate era – and of human civilization. The planet`s average surface temperature has risen about 2,0 degrees Fahrenheit (1,1 degrees Celsius) since the late 19th century, a change driven largely by increased carbon dioxide and other human-made emissions into the atmosphere. Since the beginning of the Industrial Revolution, the acidity of surface ocean waters has increased by about 30%. This increase is the result of humans emitting more carbon dioxide into the atmosphere and hence more being absorbed into the oceans. Money has no real value. Our planet does. Bitcoin has so far been a great deal for many investors in 2017. The price have skyrocketed, and something is about to change right now. Cboe Global Markets, which is the Chicago-based exchange group, launched bitcoin futures on Sunday. That can be a game changer. Cboe President Chris Concannon is also planning to launch other cryptocurrency`s, and other firms like CME Group has hinted they will launch bitcoin futures very soon, but most of them have a “wait and see” approach. 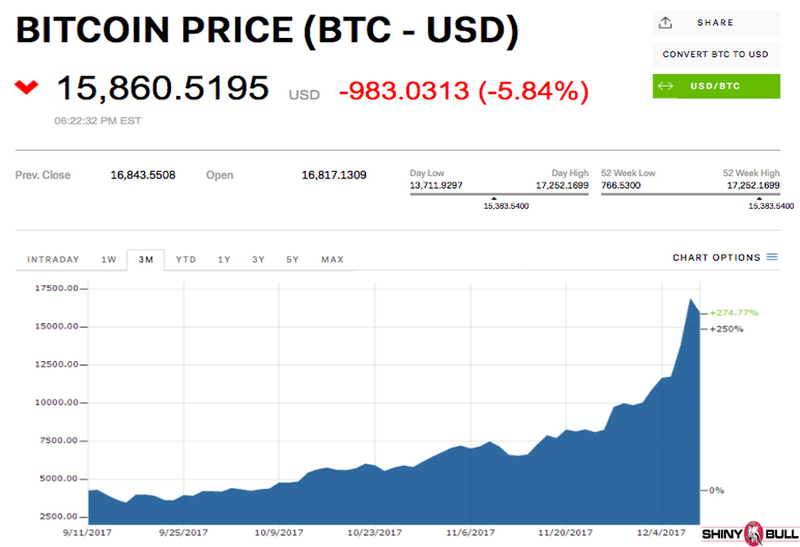 As you can see from the chart above, the price is down. 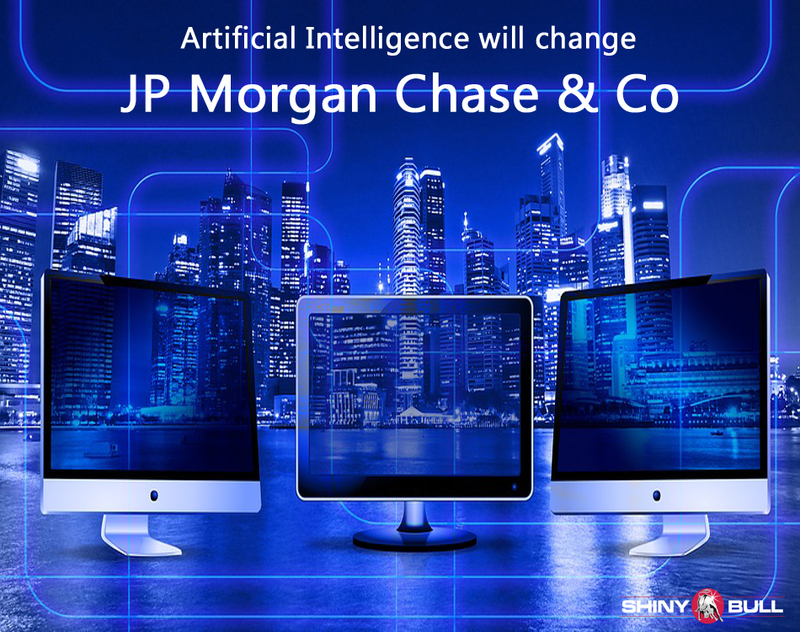 The new product will give investors the opportunity to pay a high price for its insurance, and its traders must put a lot of money on the table for their bets. Bitcoin can be very volatile, and Cboe knows that. Traders are required to have 44% of the bitcoin settlement price set aside for their bet. This is a down-payment for their risk, and margins for the futures are under 10%. VIX margins can get up to 50% because of their risk. Many are negative to bitcoin, and TD Ameritrade is taking a «wait and see» approach and wont provide the product for clients. Nor will Fidelity, Etrade and Charles Schwab. Two of the largest brokers; JPMorgan and Citigroup didnt start to participate in the market Sunday. Nor did Societe Generale, Interactive Brokers and Wedbush, according to Financial Times. But anyway, Wall Street are watching the market, and so far there are a number of concerns over Gemini and that is low volumes on the exchange and system outages. Gemini is the cryptocurrency exchange founded by the Winklevoss twins. Cboe is basing its bitoin contracts on pricing on Gemini. Gemini is still very small and the exchange sees only 1,4% of trading in the entire bitcoin market, and its activity can`t paint an accurate picture of the broader crypto-market. With its low volume and the lack of liquidity, it is also very easy to manipulate. Cryptocurrency volumes topped as much as $26 billion in a single trading day, but trading firms are under pressure to enhance their technology. The ticker code for bitcoins is XBT and the trading began yesterday, on Sunday, December 10, 2017.